Every year, the 4th of July brings celebrations, parties, and of course, fireworks. 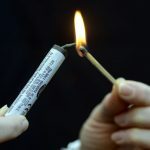 Although there are strict laws in Illinois, such as the Illinois Explosives Act, which are intended to regulate and deter the use of fireworks by citizens, of course, residents will still find a way to obtain and detonate fireworks across the State. When these inherently dangerous explosives are mixed with inexperienced handlers, alcohol, and large crowds of people, inevitable accidents and injuries will result. In fact, according to data provided by the Decatur Herald & Review, a record 349 people last year were injured by fireworks in Illinois. If you are injured as a result of the negligence, willful and/or wanton conduct of another person using fireworks, you may be able to pursue a claim for compensation for your injuries sustained. This claim can include payment of all related medical expenses, as well as money to compensate you for pain, suffering, and any disfigurement for any permanent scarring as a result of the accident. Depending upon the circumstances of the situation, the firework user’s homeowner’s insurance may offer coverage if an accident occurs. If you have been injured as a result of a fireworks accident, you should contact an experienced attorney who will be able to identify theories of recovery, potential insurance coverage, and aggressively pursue compensation on your behalf. Contact the Eames Law Group, Ltd. for a free consultation. The content of this blog is intended for informational purposes only and does constitute or establish an attorney-client relationship, nor constitute legal advice. If you wish to discuss any further aspect of the material contained herein, please contact any attorney at Eames Law Group, Ltd.
Next → Next post: Will my Overtime Pay Be Included in my Workers’ Compensation Claim?